Before the sun is up, people are awake in the city of Kathmandu. Silently shuffling around the house preparing for a walk to the temple. Young and old alike walk the distance in the early morning while enjoying the cool wind. 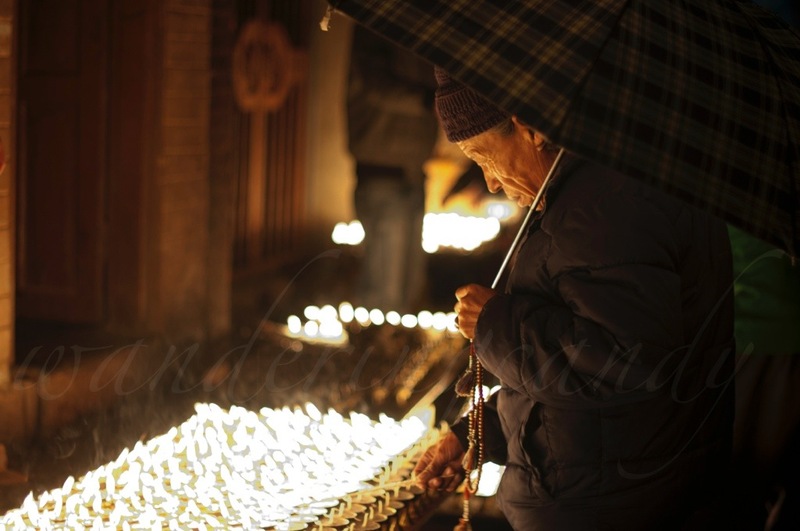 At the temple, they light a candle and quietly chanting while holding their praying beads. It is a wonderful way to start your day, isn’t it? Sadhu is a Sanskrit word meaning good man or holy man. They dedicate their life to their spiritual practice by meditation and contemplation. They live a rugged life with a detachment from common luxuries which deters many from following such a path. Kathmandu Valley is the most developed and populated place in Nepal. It serves as an economic hub of the country and is the first touch point for tourists coming to explore the beauty and culture of Nepal. We always do selfies when we travel. I’m not a narcissist or something. I do it to remember the place/s I’ve been to and to have a souvenir. Sometimes, I get lucky when someone will be there to take a picture of me when I travel. When you travel solo, you eventually learn the art of taking selfies be it a camera phone or a camera. This photo was taken at the Taj Mahal in India. It’s been awhile since I posted on my website. Let’s just say, I was busy living my life, trying to get a hand of it and living in the real world. 😉 Now, I am back in the blogging world and ready to share my travel adventures. It’s a tad late but I like this challenge. Living in the real world can turn you into a robot. You live by routines/schedules to a point that it gets monotonous. The solution? Escape. Escaping from reality can be as simple as doing a staycation and staying IN bed the whole weekend or it could mean doing something fun. My idea of escape is going to the beach to chill out and zone out. The photo above is from a recent escape to Chaweng Beach in Koh Samui. It is the famous beach in Koh Samui but I was able to find a peaceful spot to just lie down and enjoy the sun. Bridges are built to provide passage by connecting two islands or land masses separated by a body of water or a valley. It also provides aesthetic beauty to a landscape design like in the photograph above. This photo was taken in one of the temple complex that’s spread around Ayutthaya which is the ancient capital city of Siam or better known today as Thailand.